Meet the Spring 2015 Interns! Samantha Altneu grew up in Central New Jersey. She attended New York University (NYU), where she completed her Bachelor of Science in Social Work and Master of Social Work degrees. She worked for a year and a half at the NYU Langone Medical Center as a licensed medical social worker where she ensured safe and appropriate discharges for her patients. 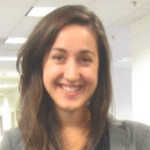 Samantha is currently a second-year law student at the University of Maryland, Baltimore, where she is pursuing a specialization in health law. 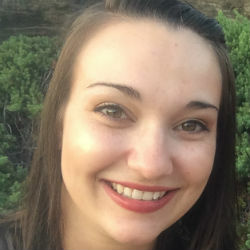 Using social work as a background to foster her passion to have a deeper understanding of the potential social struggles that may present themselves in the legal cases she will handle, she hopes that she will be able to advocate for her clients more effectively while at the NAD and in her future professional endeavors. Kylei Brooks is a senior at Gallaudet University studying psychology. She is involved in several organizations and is in a sorority. The only deaf person in her family, Kylei graduated from the Kansas State School for the Deaf in 2011. Her favorite hobbies are shopping, exploring nature, taking photos and dancing. 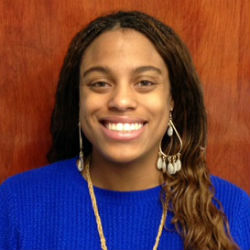 After graduating from Gallaudet University, Kylei plans to travel the world, pursue a master’s degree in educational psychology and work in a Deaf school as a behavior support aide. One day she hopes that she can work in child protective services. Currently, she is an Education Advocacy Intern and she loves it! Simone Chukwuezi works as a student attorney in the Civil Rights of Persons with Disabilities Law Clinic at the University of Maryland, Baltimore, where she is a second year law student. She has worked as an intern at the National Bar Association and plans to pursue a career in family law. 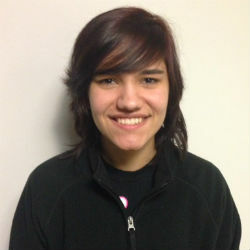 Hailey Cutts is in her fourth year as an undergraduate student at Gallaudet University. Her favorite hobbies are drawing, running, bike riding, hiking and reading. Hailey’s personal goal is to keep motivated and to achieve her goal to become a successful graphic designer. She is a graphic design intern. 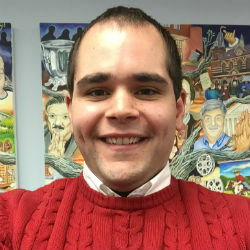 John Delaney is a student at the University of Maryland School of Law and is working at the NAD through the Civil Rights for Persons with Disabilities Clinic at Maryland. He is interested in education, employment, and disability law, and he is looking forward to learning more under the tutelage of Marc Charmatz and Caroline Jackson. Before law school, John worked as a fourth grade teacher at Holy Trinity School in Washington, DC, and Visitation BVM School in Philadelphia, PA. He earned his master’s in elementary education from Saint Joseph’s University while working at Visitation BVM. He also attended St. Joe’s for undergrad as a double major in Economics and Ancient Studies. His interests include cooking (burgers with homemade buns! ), playing his guitar, playing/watching sports (basketball is his favorite to play, baseball to watch. Go O’s! ), traveling (the warmer the better), and FaceTiming with his one year old niece. 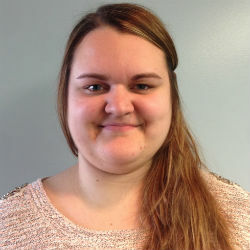 Kaylee Gress, a fifth year student at Gallaudet University studying Communication Studies, will graduate in May 2015 with B.A. in communication studies. She was born in Enid, Oklahoma and raised in Bellevue, Nebraska. Kaylee grew up in mainstream schools in deaf or hard hearing programs in Omaha and Ralston public schools. She enjoys reading, foreign movies, traveling, and hanging out with family and friends. Kaylee is the first deaf person in her military family. She is a member of the Delta Zeta sorority. Kaylee loves working with people and is currently Resident Assistant/Team Leader for Residence Life at Gallaudet University. After graduation, Kaylee hopes to become an advocate in the deaf community and become effective in the communication field. Kaylee enjoys working as a communications intern! 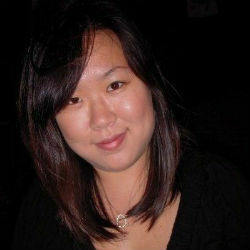 Jenny Han was born in South Korea and lived there for six years until her family moved to Canada. She grew up familiar with three languages, Korean, English and ASL. Jenny’s interest in the art world led her to two different colleges. She enrolled in a two-year 2D animation program at Capilano University and after graduating, she continues to improve and add to her skills at the Rochester Institute of Technology (RIT) where she is majoring in illustration and minoring in psychology. 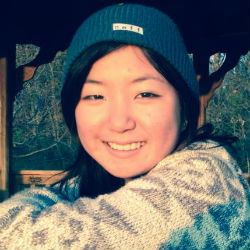 Recently Jenny became a media assistant for the Asian Deaf Club (ADC). She hopes to find a career in the animation industry after finishing her studies at RIT. Currently, she is an animation intern. Jamie Lee is originally from Silver Spring, Maryland. 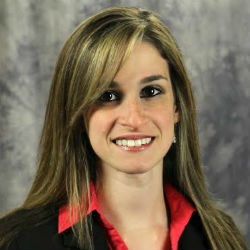 She is currently a student attorney at the NAD, as part of the Civil Rights of Persons with Disabilities Law Clinic. She is pursuing a law degree at the University of Maryland Francis King Carey School of Law, specializing in antitrust law. Before law school, Jamie was a paralegal at Hunton & Williams LLP, working in the firm’s Competition practice. She also had the opportunity to serve the Obama Administration as a White House intern where she responded to letters sent to the President and coordinated events that the President attended. In her free time, Jamie loves to learn foreign languages (she currently speaks Spanish and Korean), hang out with friends, and explore new restaurants. Xheni Llaguri is a third year law student at the University of Maryland Francis King Carey School of Law, and she is currently completing her clinical program at the NAD as a Clinic I student attorney. She is also serving as Managing Editor for the Journal of Health Care Law and Policy, President of the Immigration Law and Policy Association, and as a volunteer with Project HEAL at the Kennedy Krieger Institute. 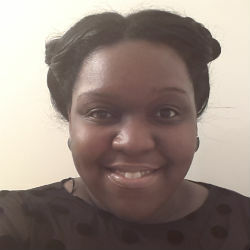 Prior to law school, she obtained her Master’s in Education from George Mason University and served as a Teach for America corps member, teaching elementary school in Washington, D.C. Xheni received her bachelor’s degree in Anthropology and Political Science from the University of Maryland, College Park. She enjoys traveling, reading fiction, and outdoor markets. She resides in beautiful Baltimore, MD. Rachel Martin is from Hagerstown, Maryland. She works at the NAD as a clinic II student attorney in the Civil Rights of Persons with Disabilities Law Clinic at the University of Maryland, Baltimore, where she is a third year law student. Rachel has previously worked as a legal intern in the Office of the State’s Attorney for Frederick County, Maryland; the Maryland Office of the Public Defender, Appellate Division; the Maryland State Senate; and the Circuit Court for Frederick County, Maryland. Rachel plans to pursue a career in public policy or public interest law. Hammad Rasul was born in Pakistan and grew up in Olney, Maryland. He works at the NAD as a clinic I student attorney in the Civil Rights of Persons with Disabilities Law Clinic at the University of Maryland, Baltimore, where he is a third year law student. Hammad has previously worked as a legal intern at the Maryland Office of Attorney General and International Fidelity Insurance Company. He is a member of the Alternative Dispute Resolution team at the University of Maryland, Baltimore. 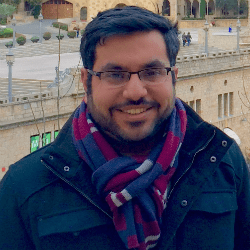 Hammad is also an Articles Editor at the University of Maryland Law Journal of Race, Religion, Gender and Class, where he published an article on trademark implications related to the controversy surrounding the Washington Redskins’ name. 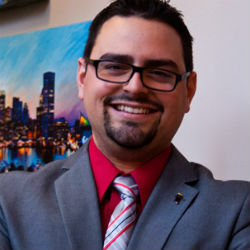 Eric Suarez is from Miami, Florida. He works at the NAD as a clinic I student attorney in the Civil Rights of Persons with Disabilities Law Clinic at the University of Maryland, Baltimore, where he is a second year law student. Eric has previously worked as a law clerk at the Law Office of the Miguel Palmeiro, LLC; and as a legal intern at the Maryland DLLR’s Office of Financial Regulation, Department of Licensing. Eric also serves as the President of the Latina/o Law Students Association at the Maryland Carey Law and will explore careers in health law. Michael Snyder is a sophomore majoring in Government and International Studies at Gallaudet University. He was raised in Indiana until his teens and then he moved to Florida. After almost 13 years of working in his grandparent’s company, he found his passion in government and decided to enroll in college. His goals are to finish his studies at Gallaudet University, enroll in law school, and then work for an organization for deaf and hard of hearing people. Michael is a member of the Rainbow Society and is the president of a newly formed organization, Phi Delta Phi (a prelaw honor society). 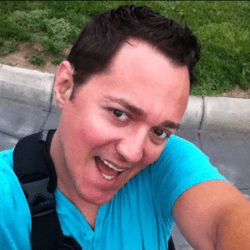 He is an avid reader, enjoys spending time with others, loves food, and pop culture. He is a public policy intern.